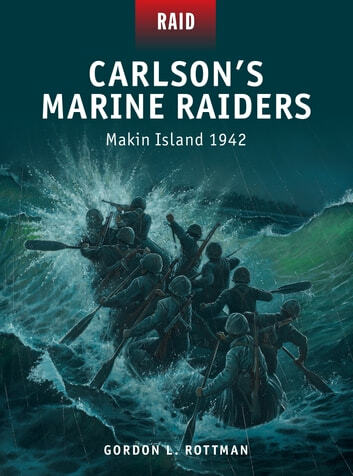 On August 17–18, 1942, 211 men of the US Marine Corps' 2nd Raider Battalion conducted a daring amphibious raid on the Japanese-occupied Makin Island in the South Pacific. 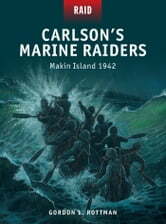 This ambitious but flawed operation was intended to divert Japanese reinforcements bound for Guadalcanal, over 1,000 miles to the southwest, in the wake of the US landings there ten days earlier; the Raiders were to destroy the seaplane base and radio station, take prisoners, and collect intelligence. Although yielding limited results, it was to be an invaluable test of the innovative training and tactics employed by the Raiders, and a crucial boost to national morale at this difficult stage in the war. Featuring specially commissioned full-colour artwork and expert analysis, this gripping account of the fateful Makin Raid tells the whole story, from the plan's conception to its troubled execution and aftermath.